I’ve been a fan of late night television for years now. David Letterman has been my generation’s Johnny Carson, and we’ve also seen some other great late night stars emerge like Jimmy Kimmel, the great Conan O’ Brien, and Jimmy Fallon. It was announced early last year that Jay Leno, for a second time, would retire from The Tonight Show and give it to a younger host in the form of Fallon, who had his wildly successful run on Late Night, which was given to him by Conan when he was briefly on The Tonight Show. I was ecstatic about this, as I thought that Fallon would bring lots of energy that had been lacking with Jay Leno for the past few years. I’m not here to bash Jay Leno, to get that out-of-the-way. While I’m still quite bitter over how the situation with Conan was handled, we all have to move on. Leno had his run, and it was time to go. 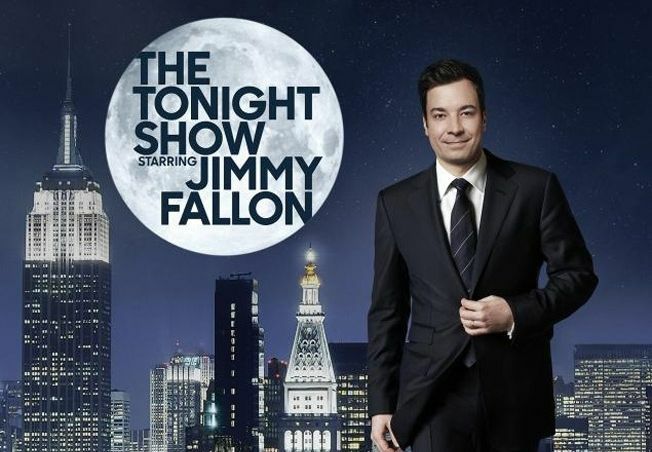 On Monday night, Jimmy Fallon became the new host of the Tonight Show, which is back in New York City, the first time the city has hosted the legendary series in over 4 decades. I have now seen the new, revamped Tonight Show, and for my taste, I love it, I think it’s great. Fallon is a young guy and his talent and energy that he had with Late Night is all brought here, as there is a great bit done after the first commercial break on the history of rap dancing with Will Smith, who was the show’s first guest. The show’s first musical guest was U2, the biggest and best band on the planet, fresh off their new single, “Invisible” (which I highly recommend you check out, it’s a great tune). The band also did a terrific unplugged rendition of their Oscar-nominated tune “Ordinary Love” (which deserves to win over Frozen’s tune. It’s a fine tune, but come on, it’s U2. But then again, I’m not a musical guy). You also see some cameos by a dozen or so celebrities, like Robert De Niro, Tiny Fey, Joe Namath, and so on. Granted, I would still have liked to have seen Conan on last night instead of Fallon, but Conan is still down the dial on TBS, and he’s doing fine. But Fallon’s energy is something that we haven’t seen on The Tonight Show in quite some time. Again, not to trash Jay Leno (even though I keep bringing up flaws about his past show), Leno played it almost a bit too safe. His jokes, in my opinion, were pretty bland and tasteless, so I was ready for Leno to get out of there. In fact, Leno shouldn’t have even been the host of The Tonight Show, as before Johnny Carson was canned by NBC, he wanted David Letterman to succeed him, but the NBC brass wanted Leno instead. Legend has it that Carson was so upset that he would write monologues for Letterman when he went to CBS. This Tonight Show is fun, and exciting, and incredibly exciting, like Fallon’s nature on Late Night. Fallon specializes in sketch comedy, as he had come off of Saturday Night Live before getting Late Night in 2009, so I would expect his sketch comedy nature to come through in The Tonight Show. Again, I’m more of a movie guy, but I feel that I wanted to share my thoughts on this. I think that Steven Allen and Jack Parr are some of the greatest television hosts of all time, and Johnny Carson is the best. The Tonight Show is an institution that is one of televisions most prized possessions. The number one late night program on television for the past couple of decades. And from what I’ve seen, The Tonight Show Starring Jimmy Fallon is a great return to the franchise that had been majorally been slacking off in the past couple of years. If everything goes according to plan, Fallon could end up being ranked up there with Carson, and Allen and Parr. I’m excited, and congrats to Jimmy Fallon for a great first episode, and here’s to next thousand, and then some. February 19, 2014 in Television Reviews.